There were visits by VIPs from all over not only country but also the world. One of them is our guest of honor, Datuk Sri Dr Ng Yen Yen. Datuk Sri was former Minister of Tourism and currently appointed as Malaysian Tourism Promotion Board chairman. We were very grateful to be given this chance to serve to a great leader who was under her stewardship, Malaysia was rated the ninth most popular tourist destination by United Nations World Tourism Organization (UNWTO). In 2011, Malaysia received 24.8 million tourists, generating RM58.3 billion in tourism receipts. The ministry also spent RM 1.8 million on a Facebook marketing campaign to promote tourism. Her management has rented our exclusive Vellfire for her visit to Langkawi during LIMA 2015. One of her first few concerns as Tourism Minister was to promote the Homestay programme whereby tourists will get to stay in villages and experience the true essence of Malaysia’s rural lifestyle. 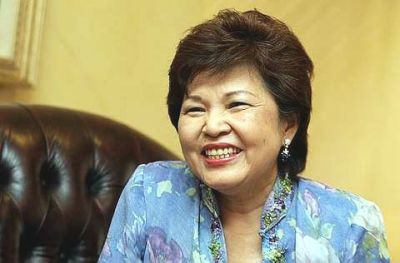 Her approach increased the numbers and earned the Ministry of Tourism Malaysia the coveted UNWTO Ulysses Award for Innovation in Public Policy and Governance for the Malaysia Homestay Experience Programme on 15 Nov 2012. Thank you Datuk Sri for your excellent services towards the country! Kami menerima pelanggan istimewa hari ini, Tan Sri Dato’ Sri Dr. Ng Yen Yen (Chairman Tourism Malaysia) , kami juga menawarkan perkhidmatan kenderan vip/vvip untuk disewa beserta pemandu.